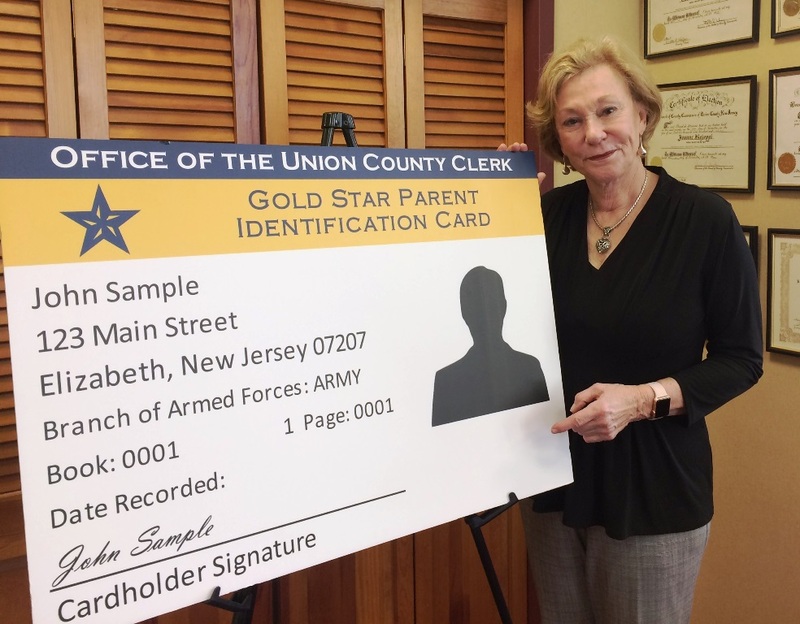 Union County Clerk Joanne Rajoppi announces that Gold Star Parent identification cards are now available from her office, for mothers and fathers of military service members who died while on active duty. A new state law authorizes counties in New Jersey to issue the card, which provides for free access to New Jersey state parks, forests and beaches, and the New Jersey State Museum. Gold Star is a military designation with roots in World War I, when households flew flags with a blue star for each immediate family member serving in the military. A gold star replaced the blue in case of casualty in uniform, signaling the family’s sacrifice to their neighbors and their community. Union County is the third county in New Jersey to offer the cards. Ocean County and Cape May also offer them. In addition to biological parents, the new law enables legal guardians, adoptive parents and other custodians to qualify for a card. Union County residents may apply for the card in person at the County Clerk’s Elizabeth or Westfield office. Appropriate documentation is required, including a Federal DD Form 1300 report of casualty and proof of the applicant’s relationship to the deceased. For more details about applying for a Gold Star Parent card in Union County, including hours and directions for the County Clerk’s Elizabeth and Westfield offices, please call 908-527-4787.